This day will feature inspirational young leaders and senior professionals who will give an insight into their profession and discuss how to grow your enterprise. 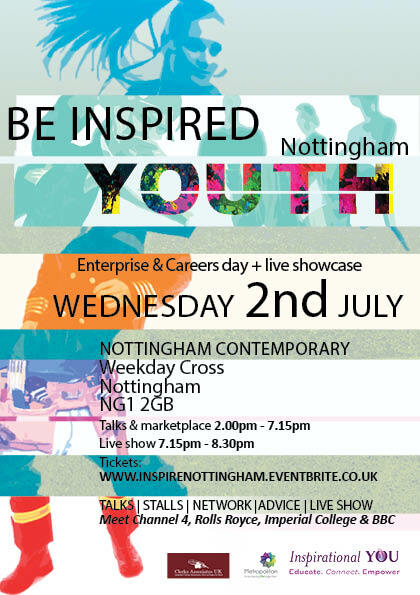 If you are aged 16 – 24 year olds, then this is your opportunity to meet youth organisations, individuals and businesses who can provide careers guidance, employment and work experience opportunities. If you would like to sponsor, exhibit or participate in future workshops and talks, then please get in contact with the Inspirational YOU team.